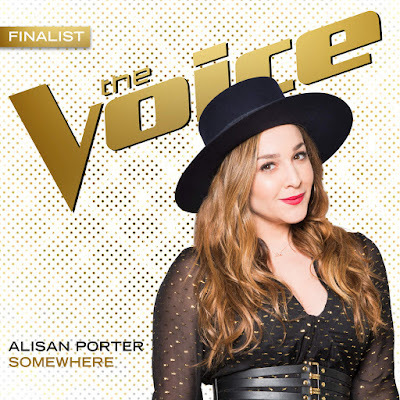 #AO: 🎧 PURCHASE ALISAN PORTER'S 2 SINGLES ON #ITUNES NOW! ALISAN DEBUTS 1ST MUSIC VIDEO! 🎧 PURCHASE ALISAN PORTER'S 2 SINGLES ON #ITUNES NOW! ALISAN DEBUTS 1ST MUSIC VIDEO! Tonight is the night guys, we have to make sure we do all we can to vote for Alisan Porter tonight after 'The Voice'. Alisan took and left everything on the stage 3 times tonight. She performed two songs, her original song, "Down That Road" and then "Somewhere", as well as performed "You've Got A Friend" with coach, Christina Aguilera. Also, here is the first music video for Alisan Porter's original song "Down The Road". The video came out amazing. Couldn't be prouder of Team Xtina. Enjoy it guys!